Ionic’s open source Framework and developer-friendly tools and services power apps for some of the world’s best-known brands - from highly successful consumer apps like Sworkit, Untappd and Dow Jones MarketWatch, to mission-critical apps supporting Nationwide, Amtrak, and NASA. 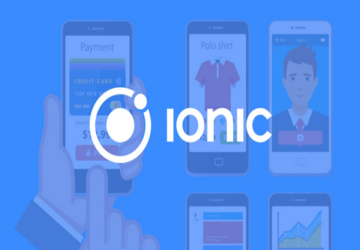 Ionic is a great choice for creating basic native functionalities within an application to run on multiple devices and operating systems. The main Ionic advantages surround the simplicity that comes with developing an app once, rather than multiple times for separate devices. The nature of the framework also makes development fast and cost-efficient, while reducing the need for maintenance. However, Ionic disadvantages also surround the fact that the application is not developed specifically for each device. Applications developed in Ionic may not perform as well as if they were developed natively, so some developers may rely on native development to ensure flawless performance and full use of native functionalities. In addition, Ionic demands a specific skillset from developers due to its current use of AngularJS and ui-router. Mobile application development is one of the most exciting sects of the technology industry, and development options are being elevated everyday. The use of AngularJS creates a powerful SDK, for building rich and robust applications. In-app performance may not be as swift as if the application were developed natively for each device. The use of AngularJS demands that developers have a specific skillset for building complex apps. Building in-app navigation can be notably complex, as the ui-router is tricky to maneuver at present.